Janay Morton, after a very productive collegiate career at two schools, is now looking forward to continuing her hooping as a professional athlete. The Brooklyn Park native concluded her athletic eligibility this past spring and graduated from the University of Nebraska. She transferred to Nebraska a couple of years earlier after studying and playing three seasons at Eastern Michigan, where she scored over 1,300 points and was among the Mid-American Conference steals leaders. Morton was a four-time all-conference performer at Osseo, where she scored over 1,000 points. Not many athletes seamlessly go from a mid-major to a Power Five conference, but the 5’-10” guard did when she went from the MAC to the Big Ten. “The transition going from the MAC to the Big Ten was a huge one,” Morton admitted. “The competitive level is different and higher at the Big Ten level, but I loved it. It was a fun [transition]. Morton’s next goal in life, to play pro ball, required that she select the right agent, that someone who will not only represent her as a player but also look out for her best interests as a person. “I called a lot of alumni at Nebraska,” Morton says. “My coaching staff helped me out with players they had who had agents that they like. [This involved] contacting a lot of people and asking a lot of questions on the ins and outs, do’s and don’ts, of finding an agent.” Morton eventually signed with Houston-based 610 Sports Management. 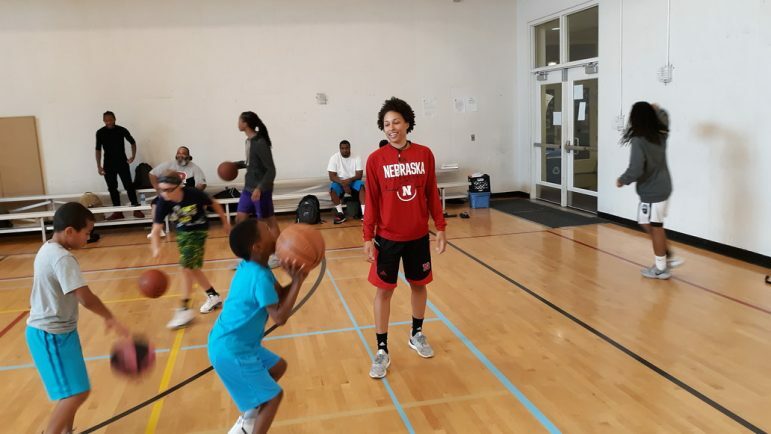 But for now, it’s the waiting – Morton is working out this summer and working with kids at basketball camps while she awaits word of where she might be playing overseas this fall and winter. Most foreign teams only allow a maximum of two U.S. players on its rosters. Depending on where she might end up, “I may be the lone American” on her new club, Morton observed. While she waits for her next hoopin’ opportunity, Morton offers advice for young people: “You got to have persistence. You might get knocked around in the process and things aren’t going to go your way. If you want it bad enough, you will go after it. It’s not how you start but how you finish. “That’s what I always kept in mind,” Morton said.